March 10, 2015 by Boots in Curaçao! 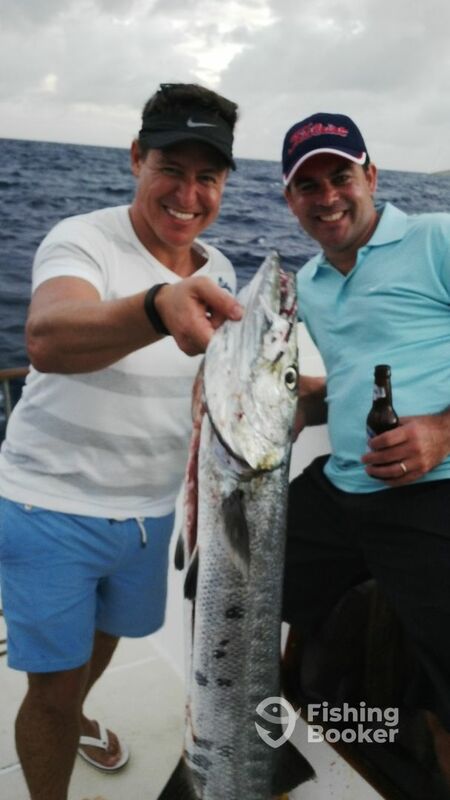 The regular size Barracuda caught along the coral reefs of Curaçao averages 1-2 feet. Sometimes though, with some luck like these guys had, we catch the mother of them all! Look at the size of this lady, she must be at least 5 foot long!